Journal Of Advance Researches In Medical Sciences ( Formerly Journal of Advance Researches in Biological Sciences). 2011; 3(2): 154-158.
International Journal of Reproduction, Contraception, Obstetrics and Gynecology. 2014; 3(3): 732-734.
International Journal of Clinical and Biomedical Research. 2015; 1(2): 109-121.
International Journal of Clinical and Biomedical Research. 2015; 1(2): 102-108.
International Journal of Medical Research & Health Sciences. 2015; 4(1): 251-253. To Study the Relationship between Eating Habits and Physical Activities with Diabetes Mellitus. International Journal of Health Sciences and Research (IJHSR). 2014; 4(5): 215-222.
International Journal of Current Research and Review. 2016; 8(7): 32-37.
International Journal of Current Research and Review. 2015; 7(14): 07-20. National Journal of Medical Research. 2016; 6(1): 45-47.
International Journal of Current Research and Review. 2013; 5(23): 21-24. Effect of thoracic spinal manipulation on lower limb neurodynamics in healthy young adults: Neural link to regional interdependence. International Journal of Health Sciences and Research (IJHSR). 2015; 5(10): 157-165. Multidisciplinary Manual Therapy Management of Cervicogenic Headache: A Case Report. International Journal of Health Sciences and Research (IJHSR). 2015; 5(5): 562-569. National Journal of Community Medicine. 2015; 6(3): 297-301.
International Journal of Medical Research & Health Sciences. 2015; 4(1): 13-21. Study of Knowledge, Attitude and Practice of General Population of Ambala towards Hypertension. International Journal of Health Sciences and Research (IJHSR). 2016; 6(8): 24-28. *Parmar Sandip M., Chaudhary Meenu, Mittal D.P., Malik M. K.
Journal Of Advance Researches In Medical Sciences ( Formerly Journal of Advance Researches in Biological Sciences). 2014; 6(4): 248-251. Journal Of Advance Researches In Medical Sciences ( Formerly Journal of Advance Researches in Biological Sciences). 2013; 5(3): 218-220. Vidyadhara Rani P., Naveen Kumar S.
International Journal of Medical and Pharmaceutical Sciences. 2014; 4(10): 25-29. Study on Cost-Benefit Analysis of Computerised Tomography (CT) Scan. International Journal of Health Sciences and Research (IJHSR). 2014; 4(8): 205-211. NARAYANA NURSING JOURNAL. 2016; 5(2): 23-24. Assessing Quality of Life in Patients with Glaucoma Using the Glaucoma Quality of Life -15 (GQL-15) Questionnaire in Indian eyes. International Journal of Health Sciences and Research (IJHSR). 2014; 4(3): 89-96.
International Journal of Medical and Pharmaceutical Sciences. 2014; 4(8): 8-12. National Journal of Community Medicine. 2015; 6(4): 575-578.
International Journal of Current Research and Review. 2015; 7(8): 07-13. Adenosine deaminase activity and insulin in type 2 diabetes mellitus: does adenosine deaminase affects insulin level? International Journal of Medical Research & Health Sciences. 2014; 3(4): 918-921.
International Journal of Research in Medical Sciences. 2013; 1(1): 16-18. National Journal of Integrated Research in Medicine. 2012; 3(2): 41-44. A Cross Sectional Study on Assessment of Mini Nutritional Status and Depression Status among Elderly in the Villages of V. Kota Mandal, Chittoor District, A.P. International Journal of Health Sciences and Research (IJHSR). 2015; 5(1): 26-31. Impact of Medical Record Audit on Quality of Healthcare Delivery - A Corporate Hospital Experience. P. Naveen Kumar, K. Pushottam Hoovayya, Swapna. B. V.
International Journal of Health Sciences and Research (IJHSR). 2013; 3(10): 66-74.
International Journal of Medical Research & Health Sciences. 2013; 2(2): 143-146. Study on Health Information Seeking Behaviour among Inpatients in a Tertiary Care Hospital. International Journal of Health Sciences and Research (IJHSR). 2014; 4(3): 198-209.
International Journal of Current Research and Review. 2012; 4(20): 112-118. Veterinary World. 2010; 3(4): 161-164. National Journal of Clinical Anatomy. 2016; 5(1): 15-21. National Journal of Medical Research. 2013; 3(4): 407-408.
International Journal of Medical Research & Health Sciences. 2015; 4(1): 36-40.
International Journal of Medical Research & Health Sciences. 2015; 4(3): 720-723. Raghavendraswamy Koppad, Santosh Kumar A., Naveen Kotur, Umakanth A.G.
International Journal of Current Research and Review. 2012; 4(22): 66-73.
International Journal of Medical Research & Health Sciences. 2013; 2(3): 648-659.
International Journal of Reproduction, Contraception, Obstetrics and Gynecology. 2015; 4(4): 1176-1180. Insights into Equipment Planning of a 250-Bed Hospital Project. International Journal of Health Sciences and Research (IJHSR). 2014; 4(10): 311-321. Modern understanding of cardiovascular prevention: Ayurvedic root with a modern shoot. Annals of Ayurvedic Medicine. 2016; 5(1): 12-16.
International Journal of Basic & Clinical Pharmacology. 2014; 3(2): 410-411.
International Journal of Contemporary Pediatrics. 2016; 3(4): 1355-1357. An Epidemiological Study of the Nutritional Status of the Elderly in Rural Population of Ambala District, Haryana. International Journal of Health Sciences and Research (IJHSR). 2016; 6(10): 28-32.
International Journal of Current Research and Review. 2016; 8(20): 10-16.
International Journal of Advances in Medicine. 2016; 3(4): 1011-1015. Accessory Pectoralis Muscle Intervening Between Pectoralis Major and Minor Muscles - A Case Report. International Journal of Health Sciences and Research (IJHSR). 2014; 4(2): 198-201.
International Journal of Reproduction, Contraception, Obstetrics and Gynecology. 2015; 4(2): 292-294.
International Journal of Reproduction, Contraception, Obstetrics and Gynecology. 2016; 5(9): 3232-3234.
International Journal of Community Medicine and Public Health. 2016; 3(7): 1894-1899. Journal of Research in Medical and Dental Science. 2013; 1(2): 67-71. Socio-Demographic Predictors of Psychiatric Morbidity among Women Inmates at a Prison in Northern India. International Journal of Health Sciences and Research (IJHSR). 2016; 6(9): 40-47. Unilateral Double Right Renal Arteries - A Case Report. International Journal of Health Sciences and Research (IJHSR). 2014; 4(5): 335-338.
International Journal of Medical Research & Health Sciences. 2013; 2(1): 30-34.
International Journal of Basic & Clinical Pharmacology. 2015; 4(3): 556-560.
International Journal of Basic & Clinical Pharmacology. 2014; 3(3): 547-552. Pediatric Orbital Rhabdomyosarcoma: A Single Institute Retrospective Study. International Journal of Health Sciences and Research (IJHSR). 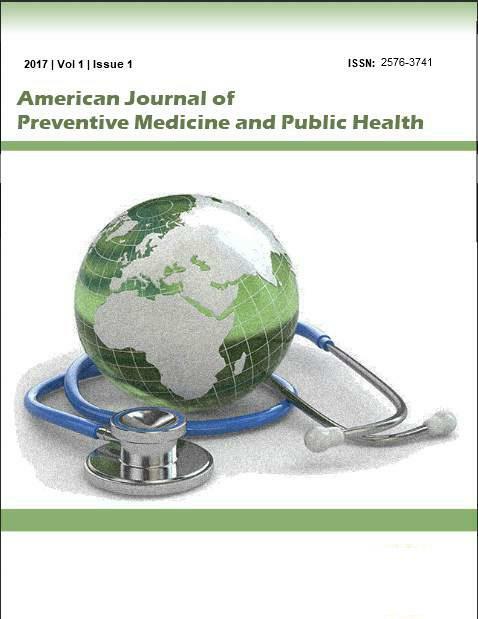 2014; 4(4): 40-43.
International Journal of Community Medicine and Public Health. 2016; 3(11): 2993-2996.
International Journal of Reproduction, Contraception, Obstetrics and Gynecology. 2016; 5(8): 2784-2790.
International Surgery Journal. 2015; 2(2): 224-234. Yogesh Sharma, Vivek Mathew Philip, Gururaj R. Joshi, Naveen B. M.
International Journal of Research in Medical Sciences. 2016; 4(9): 4055-4060.
International Journal of Research in Medical Sciences. 2016; 4(4): 1278-1281.
International Journal of Reproduction, Contraception, Obstetrics and Gynecology. 2016; 5(2): 415-418.
International Journal of Reproduction, Contraception, Obstetrics and Gynecology. 2016; 5(3): 743-746.
International Journal of Basic & Clinical Pharmacology. 2016; 5(6): 2362-2367.
International Journal of Clinical and Biomedical Research. 2015; 1(2): 62-69.
International Journal of Research in Medical Sciences. 2016; 4(1): 231-237.
International Journal of Medical Science and Public Health. 2014; 3(9): 1082-1085.
International Journal of Reproduction, Contraception, Obstetrics and Gynecology. 2014; 3(4): 1076-1081.